EMDR (eye movement desensitization and reprocessing) has been thoroughly researched and shown to be an effective treatment for acute trauma and post-traumatic stress. But what do you do with clients who have experienced ongoing relational trauma? What about neglect? Can the effectiveness of EMDR techniques be extended to these clients as well? In EMDR, you activate the memory network where trauma is stored. You essentially “light it up” with images or sensations, and then you add bilateral stimulation, such as eye movements, tactile or auditory stimulation, tapping, etc. Through this, you activate accelerated information processing. According to Dr. Laurel Parnell, an internationally recognized leading expert on EMDR, humans have an instinct to heal, to move toward health and wholeness. The theory around EMDR is based on the Adaptive Information Processing model—with trauma, information gets frozen or fragmented and stuck in our neural networks. Our natural healing system becomes disrupted. So when we activate the network where trauma is stored and apply bilateral stimulation, it sets off our natural healing system. We move toward health and wholeness, the natural charge goes down, and an amazing wisdom arises in the client. The job of therapists is to create a safe enough space and support structure for the client to move through this very intense material. But we are still left with the question, what can we do for clients who struggle with attachment issues from ongoing trauma and neglect? What if the client lacks a “charged target,” but is instead missing something from their childhood connections? 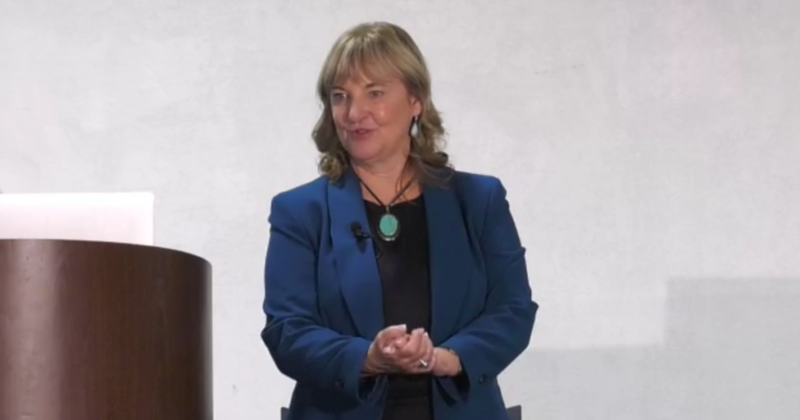 In this video, Dr. Parnell illustrates how she has adapted standard EMDR techniques to address the needs of folks who have an ongoing struggle with attachment issues as adults. Through harnessing the client’s imagination, she brings them through a process she calls Resource Tapping, that can help to fill in this missing structure and bolster the strength, willingness, and preparedness of the client to utilize EMDR techniques to dive deeper into specific trauma. Attachment-Focused EMDR rests on one key element: that your techniques as a therapist should adapt to the needs of the client. AF-EMDR emphasizes the importance of the therapist-client relationship, allowing therapists to utilize their own intuition and imagination, while still providing enough structure rooted in proven methods.